Traditional polo collar with striped detail. Short sleeves with striped, ribbed cuffs. Burberry® Knight embroidery at chest. 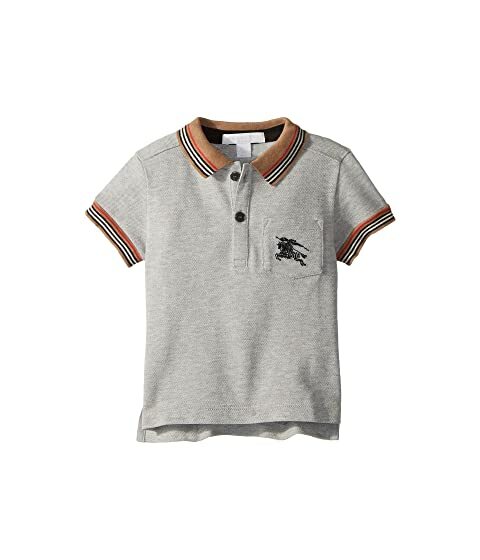 We can't currently find any similar items for the Mini Noel (Infant/Toddler) by Burberry Kids. Sorry!